Westerville, Ohio-based DHL Supply Chain, a leader in contract logistics in the Americas and a part of the Bonn, Germany-based Deutsche Post DHL Group, issued a report recently that found 65 percent of responding companies believe technology is having a significant impact on their supply chain. That begs the question: Who are the other 35 percent? Because keeping up with technology is critical for just about any business these days, but most especially for those that rely on supply chains, which are tasked with moving everything from retail products and industrial equipment to perishable foods and critical medicines. Essentially, we are at a point in the 3PL industry where companies must decide whether they are going to continue being the equivalent of hotels, taxis and encyclopedias or Airbnb, Uber and Google. The future is not now, we are already blazing in the fast lane. DHL was already leveraging emerging technologies at 85 of its 430 North American facilities in November, when the 3PL announced it was making another $300 million technology investment to create the next generation supply chain. The goal now is to have emerging technologies deployed in 350 of DHL’s North American facilities and transportation control towers. These technologies are going to vary by customer needs, based on the outcomes of research and pilot programs completed by DHL’s internal innovation teams and collaboration with dozens of external innovators. But it is already being played out in the acceleration of robotics, augmented reality, robotics process automation, IoT and DHL’s proprietary end-to-end visibility solution MySupplyChain. 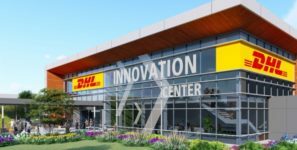 This summer, DHL’s 24,000-square-foot Americas Innovation Center is scheduled to open just outside Chicago, where technologies and innovations the business is already implementing across the region will be exhibited. And the 3PL began 2019 by implementing innovative processes to improve the hiring and retention of warehouse workers across its network. That rapidly paid off in the form of 445 daily applications and nearly 32,000 fewer hours spent on administrative hiring tasks. Profound (and rapid) change is indeed a result of innovation. What follows are just some of the developments you should be paying attention to lest you get left behind with the supply chain equivalents of stale mints under your pillows, sticky cab seats and out-of-date World Books. DB Schenker Americas is utilizing IAM’s mobile, piece-picking robotic technology because, as the companies’ reps will tell you, the modern-day supply chain does a lot more than move products from one place to the next. Automation is key to meeting customer demands for flexibility, visibility, and transparency. MHI, the nation’s largest material handling, logistics and supply chain association, as well as the presenter of the ProMat and MODEX expos, reports that 34 percent of companies are looking to robotics and automation to improve overall supply chain efficiencies by handling previously manual tasks such as picking, sorting, inspecting, storing, handling and classifying products. Within five years, MHI expects robotics and automation adoption to rise to 53 percent. Schneider generated $4.4 billion in revenues in 2017 and is routinely named among the best third-party logistics companies in the United States. But success can bring headaches, and the Green Bay, Wisconsin-based company’s brain trust was chomping aspirins over the need to support its growing network of carriers and freight brokerage operations, which just happen to be among the nation’s largest. What’s a mighty 3PL to do? Look to another third party, which is what Schneider’s Transportation Management division did when it latched onto Trucker Tools. Specifically, Schneider adopted the Reston, Virginia-based company’s load tracking, carrier engagement, capacity visibility and predictive freight-matching software. “We are growing our capabilities with Trucker Tools to deliver a better experience for carriers and easier access to the high-quality loads they expect from Schneider,” beams Erin Van Zeeland, Schneider’s senior vice president and general manager of Logistics Services. The mobile app, which has been downloaded by more than 500,000 truck drivers, allows the Load Track feature to use a smartphone’s GPS software to continually update and deliver precise location data, which is sent from the driver’s device to the broker over Trucker Tools’ confidential, secure network. BNSF Logistics, a multi-modal, 3PL services provider specializing in the movement of freight around the globe, obviously figures even bigger is even better. So to fuel a major worldwide expansion, the 3PL recently adopted Blume Global’s digital supply chain platform. Pleasanton, California-based Blume Global, which was formerly known as REZ-1, is a high-growth company with a 24-year history of delivering innovation in the global supply chain ecosystem. Its digital supply chain solutions now help BNSF Logistics—a subsidiary of Burlington Northern Santa Fe, LLC, a Berkshire Hathaway company—optimize the intermodal transport services it offers to customers across the globe. Specifically, Blume Global has tightly integrated BNSF Logistics’ distributed supply chain—collecting and analyzing data to optimize every touchpoint between the 3PL, its logistics providers and its customers. This data-driven approach includes powerful end-to-end global visibility for cargo and containers around the world, across every mode and provider, down to the last mile. BNSF Logistics is also tapping into Blume’s vast global network of more than 4,200 motor carriers for its customers and using Blume Finance to streamline the entire freight audit and pay process across its network of suppliers. Tive Inc., a leading provider of in-transit supply chain tracking solutions, has partnered with the U.S. Postal Service on a return-by-mail tracker that enables seamless return logistics for shipments within the 50 states. The new capability significantly simplifies return logistics for manufacturers and shippers that rely on Tive’s tracker and software solution to maintain end-to-end visibility into their in-transit goods, boasts the Cambridge, Massachusetts-based company. Tive provides a sensor and software solution that allows supply chain managers to track and analyze the location and condition of their shipments in real time. The company’s proprietary low-power multi-sensor tracker uses cellular connectivity to provide real-time monitoring and analysis of the location, climate and integrity of shipments. Supply chain managers access this data and analysis through the Tive software platform, where they can set up custom alerts like ETA warnings, temperature deviations or geofences. They can also use the Tive API to pull data into external SCM, TMS or ERP systems and gather insights into their supply chain. Tive’s newly developed return-by-mail tracker can be placed directly in any postal box in the U.S. without the need for any special labeling or packaging. This means that trackers can be placed with shipments going anywhere in the country, and the recipient can just collect the trackers and put them in any standard mailbox to get them back to Tive or the origin address. The tracker comes with a sturdy mailing sleeve that has been approved for use by the Postal Service. Meanwhile, Tive is pursuing a similar service with international postal services that would enable companies to take advantage of global return logistics at limited additional cost.